Sometimes at our house the Easter Bunny likes to leave cupcakes as well as baskets and eggs. 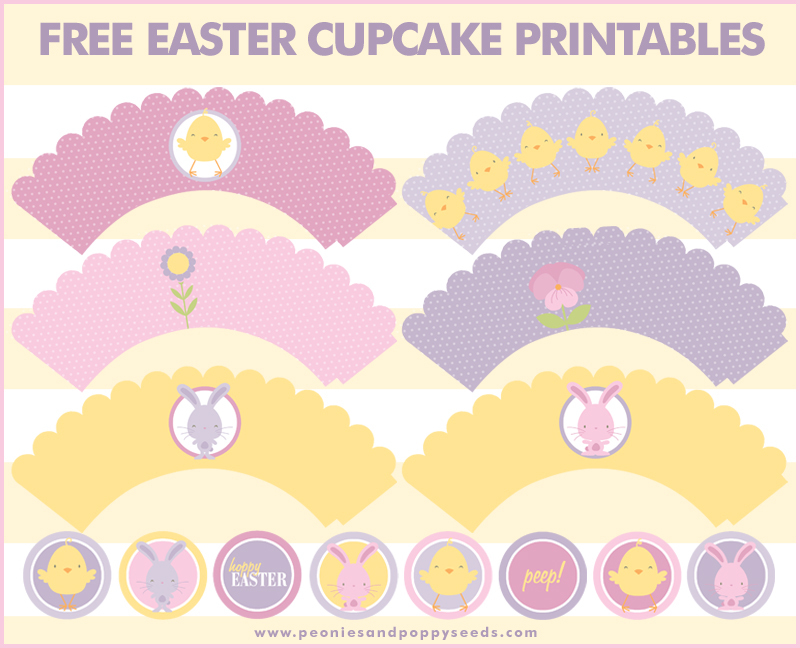 This year the cupcakes are going to be cuter than ever with these free Easter cupcake wrappers and toppers. This comes with six different cupcake wrappers, and twenty-four different 1 1/2" circles as toppers.